You’ve seen Sunny Anderson cooking on the Rachael Ray Show and the Food Network show The Kitchen. But unlike a lot of TV food personalities, she’s not a trained chef. Like me, she just LOVES to eat. 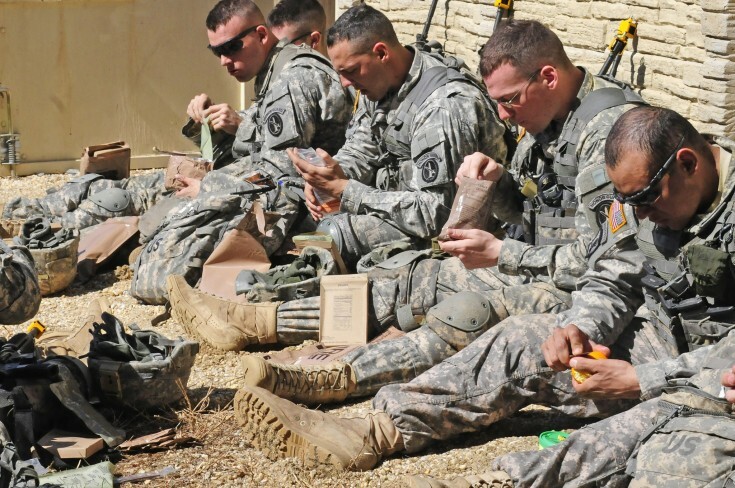 "Every time we got new orders [to move to a different military base], my parents would do the research and say 'Look at how they eat there!'" Sunny recalls. 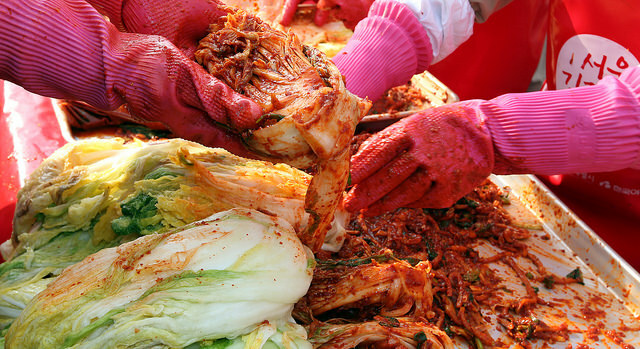 "My mom made kimchi in Germany the real way – she actually put it in the earth. I have parents who made kimchi -- we are black!" 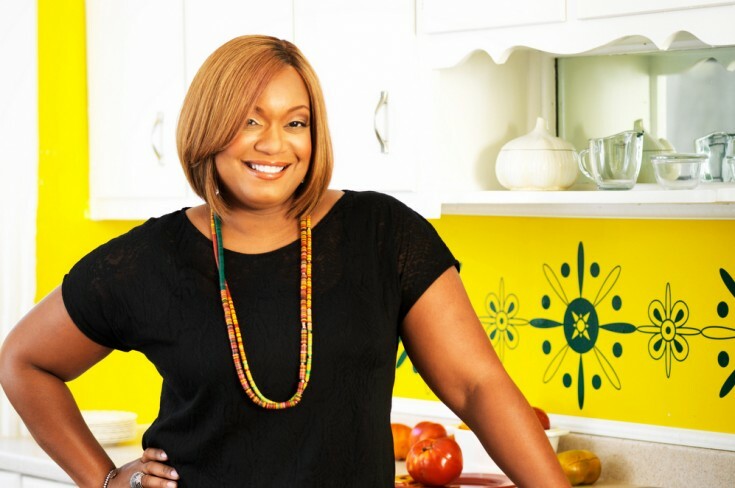 This week on The Sporkful, Food Network star Sunny Anderson talks about growing up on Army bases all over the world, her own time in the Air Force, and all the foods she ate along the way -- from blood sausage to bibimbap to Spam. "My Mom would knock on our next door neighbors’ [door] -- the Trans, a Vietnamese family -- [and she would say]: 'Excuse me, can you show me how to make spring rolls?'" Sunny says. "I’m that way too now because I saw her do that." After high school, Sunny joined the Air Force and went to basic training -- where the food culture was unlike anything she'd experienced growing up on military bases around the world. 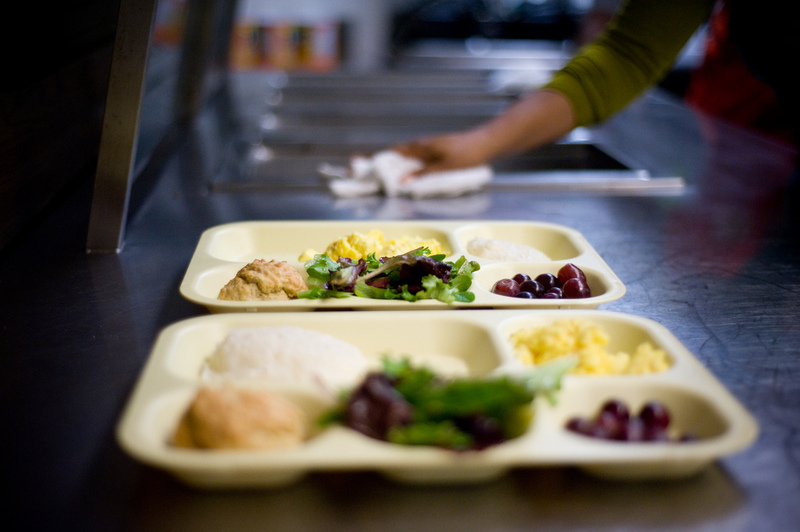 "It was like going to jail," she says of the food in basic training at Lackland Air Force Base in Texas. "Your goal was to rush to eat so you can get back up and get dessert. It was tough." Eventually Sunny was stationed in South Korea, where she got her start in entertainment -- as a radio broadcaster in the Air Force. Eaters, I'm a huge fan of bibimbap. For one thing -- it's a masterful case study in bite consistency. For another: it's DELICIOUS. Sunny says bibimbap is both ubiquitous and beloved in South Korea -- not unlike another dish I often site in discussions of bite variety vs. bite consistency here on The Sporkful. 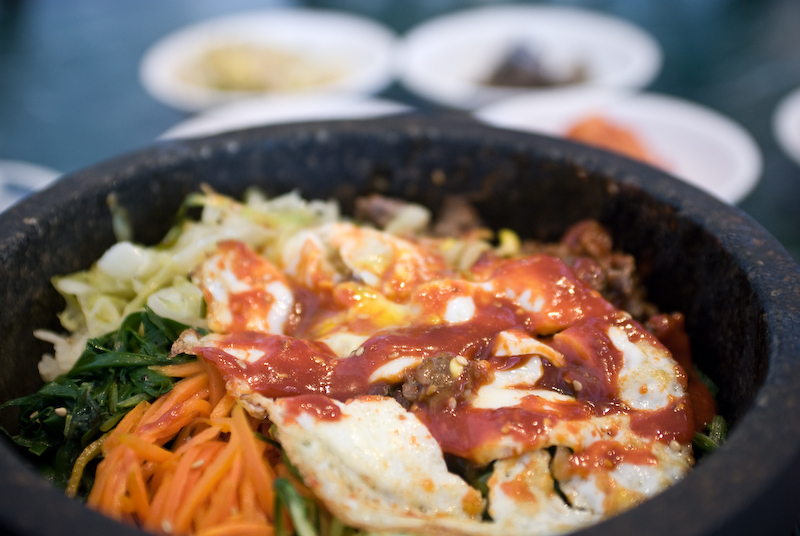 "To me, bibimbap is like the hamburger for Americans," she says. 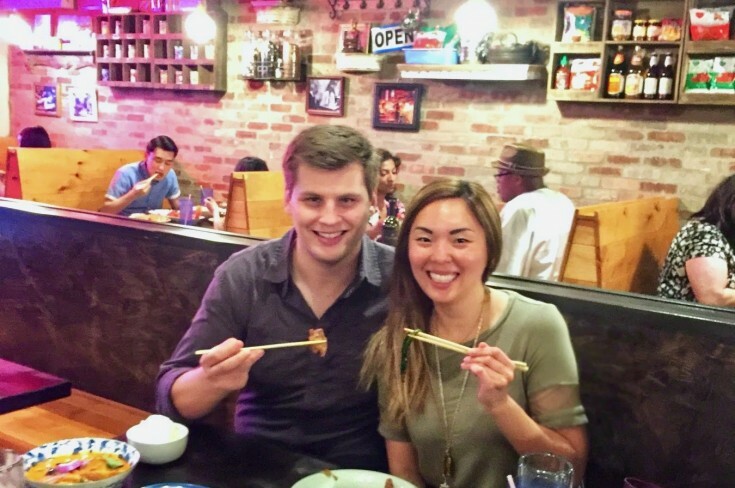 Sunny and I talk about all the things we love about bibimbap -- especially the crunchy layer of burnt rice at the bottom (called noo roong ji in Korean). In the course of obsessing about the dish, we actually came up with a new way to make bibimbap even more delicous. But you'll have to listen in to the full episode for that big reveal. A couple calls in for advice about food tensions in their intercultural relationship, and New Yorker food writer Helen Rosner tells us why all relationships are "inter-everything." 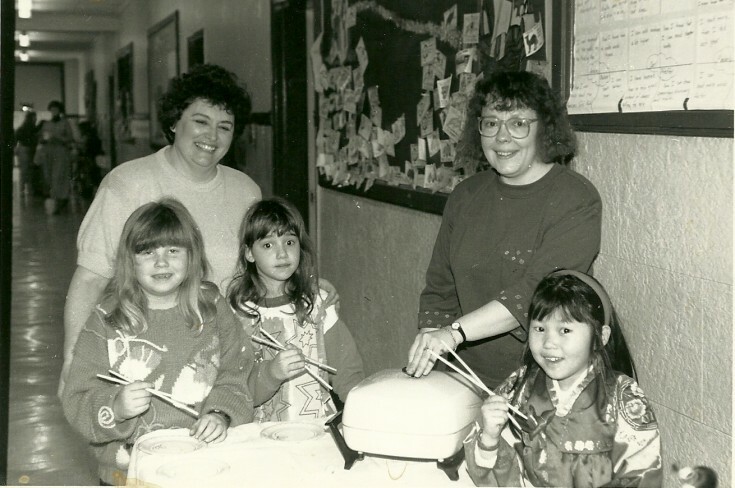 Food is one way children adopted from other countries can connect with their heritage. But what happens when those kids grow up and decide they want more?